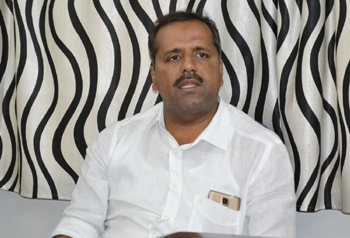 Mangaluru, Jun 02, 2017: Addressing reporters at Circuit House here on June 1, Thursday, Food and Civil Supplies Minister U T Khader said that the state government has been providing necessary facilities to endosulfan victims. The minister said that the protests conducted by the Endosulfan victims have raised questions as political persons are inciting and leading them. They have been demanding the government to make lump sum payments to the victims in the form of compensation. But the state government’s payment of pensions on monthly basis will not be changed. If large sums are paid, some unauthorised persons may misuse. Foreseeing this possibility, the government has implemented the pension system, Khader said. Proper medical treatment is also provided to the victims at speciality hospitals free of cost in case of serious ailments in accordance with memoranda of understanding with the private medical institutions. A total of 200 people have benefited so far, he said. Khader said that a survey was conducted to identify real endosulfan victims when he was the health minister and the compensation was distributed in a fair manner. Rehabilitation : Land has been identified for a permanent rehabilitation centre at Ujire. Sannidhya, TV9 and the health department will jointly construct the building and maintain the centre, he added. Out of the four criteria for the categorisation of the prioritised families, the condition on the slab of the electricity bill has been scrapped. This will enable more households to avail the facilities at the fair price shops, he said. Under the state government’s Anila Bhagya scheme, there is a target to provide 10 lakh LPG connections. So far, three lakh connections have been given. This will help a large number of population which was deprived of the Ujjwala scheme implemented by the Union Government, he said. He said the food and civil supplies department is keen on implementing biometric system for the distribution of food grains and other commodities in fair price shops. The biometrics system will prevent misuse of the facilities. The fair price shops implementing biometric system will get more commission, he said. The process of issuing ration cards through post is in progress and 20,000 cards have been distributed through post so far, Khader said. Responding to a query, Khader said that Dakshina Kannada should have a police commissioner who has no black marks in service record. The police commissioner who has recently been transferred to Mangaluru had not been able to effectively handle the Church attack incident during his tenure in Mangaluru. Therefore, there is an opinion that he should not be recommended for posting in Mangaluru once again, the minister.